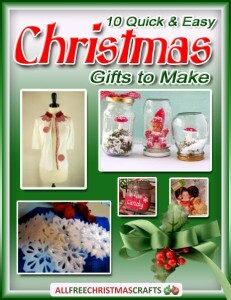 Have you had a chance to check out our latest free eBook, 10 Quick and Easy Christmas Gifts to Make? When I say that the gifts are “quick and easy”, I’m telling the truth! 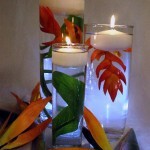 In fact, some of these projects can be made in under an hour! I know, I know – it’s not quite the Christmas season. But now is the perfect time to start thinking about your homemade Christmas crafts. The sooner you start working on your DIY projects, the less you’ll stress when the holiday season comes along. Plus, fall and cooler temperatures are right around the corner – I’m ready for a bit of a change, aren’t you? 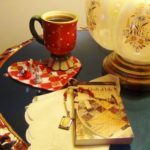 Escape the heat during these dog days of summer and make one or more of the gifts featured in this eBook. You can save them for December or stockpile them just in case (there’s always that one person you forget about). 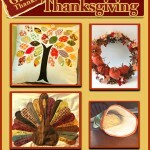 What’s great about the crafts in this eBook is that you can use inexpensive or recycled materials. Purchase glassware and sweaters at a discount store or recycle an empty glass canister. 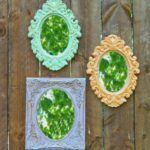 Personalize the inexpensive materials using paint, fabric scraps and more – before you know it, you’ll have a professional-looking project (for a fraction of the price). 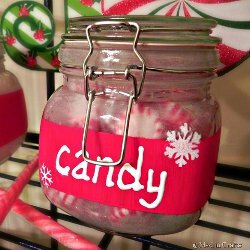 Snarky Christmas Canisters: Add funny words an phrases to an empty mason jar and use scrap fabric to make it extra special. Fill your canister with candy and give it to a friend. Don’t forget a snarky message! 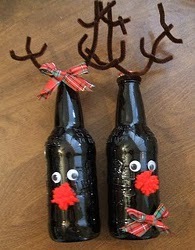 Root Deer: Gather up the kids and have them help create this adorable gift. Use pipe cleaners, googly eyes and more to bring your deers to life. Don’t forget a red pom pom for Rudolph’s nose. 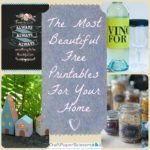 Download a copy of 10 Quick and Easy Christmas Gifts to Make today – it’s completely free! 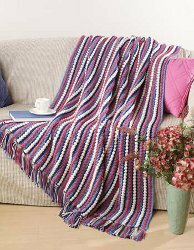 Welcome to the world of crochet afghan patterns. Every week, AllFreeCrochetAfghanPatterns publishes its newsletter, Laying It All Out. This month, we featured all kinds of cool patterns – from fun florals to patriotic projects. Without further ado, here are the top five links our readers loved last month. This month, we set our spotlight on patriotic patterns. This afghan is versatile – it’s not all about stars and stripes or big motifs. Instead, it’s understated but still pretty. Interestingly, we asked our Facebook fans if they found patriotic patterns to be inappropriate. See what they had to say about this controversial topic. 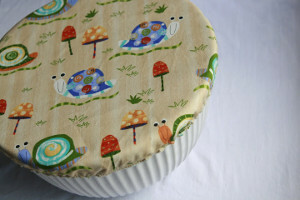 This pattern has been featured numerous time – it keeps coming back because it’s so popular! 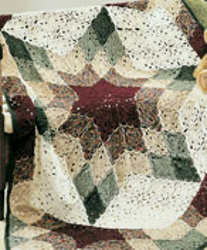 Even though the Prairie Star Afghan is an advanced pattern, it’s not impossible by any standard. 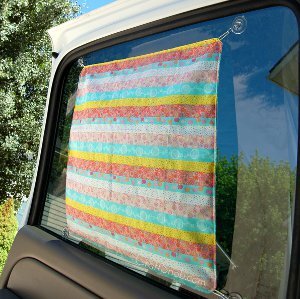 Crocheters with a little experience and a lot of determination will find this to be the perfect summer project. This is the first of two pattern collections in the top five for this month. 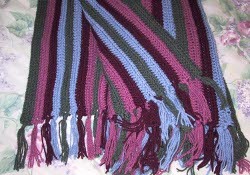 When you think simple, you might not think crochet afghan projects. Generally, these patterns take time and care to complete. But these patterns are called “simple”, “easy” and “beginner” for a reason. This list is filled with all types of patterns – from vintage afghans to granny squares. There’s so much more than meets the eyes when it comes to this square. When I hear Tulip Square, I immediately picture a big tulip motif in the center of a square. But this patterns is different – it features a tulip motif that runs throughout the square. This is an advanced pattern that offers so much. It’s sophisticated and pretty without being over the top. Behold – our most popular link from June! This collection made a huge splash this month. 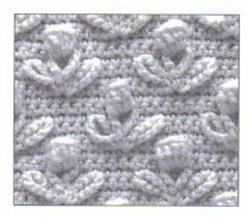 I totally get it – beginner patterns are not only great for new crocheters, it’s also a great way to hone your skills. 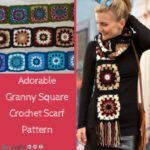 Experienced crocheters can practice what they know and create something quick without a ton of hassle – what could be better? 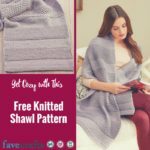 If you’re looking for projects like the World’s Easiest Crocheted Afghan (which is pictures above), you’ll love this pattern collection. 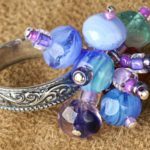 There’s a reason this link is so popular – it’s filled with easy-to-complete patterns you can start on now. 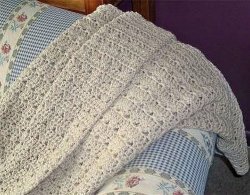 How do you choose a crochet afghan pattern?